Autumn is here, and that means that the holidays are just around the corner! An integral part of fall holidays and fall itself is the pumpkin, of course. A versatile plant (technically a fruit! ), pumpkins are used for everything, from savory and sweet dishes to even sitting carved out on your front porch! 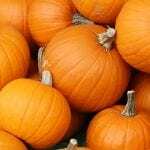 Pumpkin helps to fight chronic disease. Pumpkin is a great source of potassium, which has been found to help with the management of high blood pressure. In addition, pumpkin seeds contain many essential fatty acids associated with reducing LDL cholesterol, lowering the risk of heart disease . Pumpkin is rich in fiber, which helps regulate blood sugar levels and insulin tolerance, making diabetes easier to manage [4,5]. Fiber also promotes regular bowel movements – consumption of fiber can reduce the risk of colon cancer . It makes your immune system happy. Compounds in pumpkin promote the growth of key gut bacteria that play a role in gastrointestinal health, an important part of immunity . 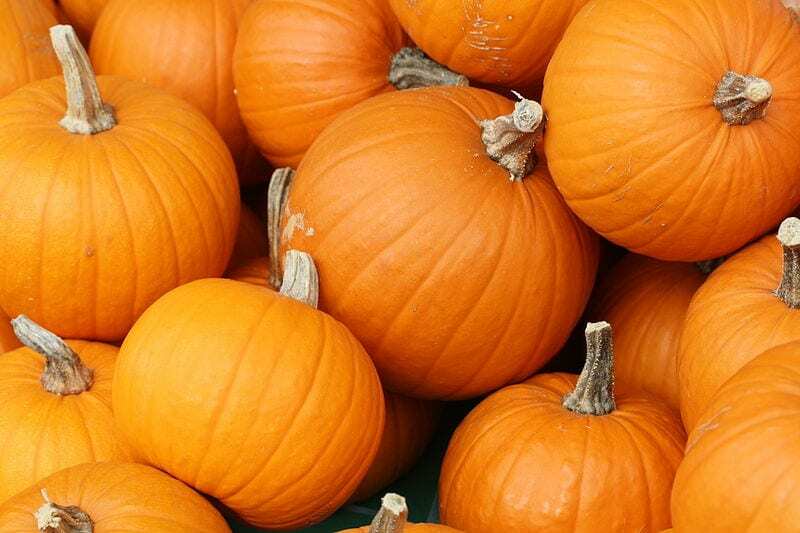 Pumpkins also contain iron and vitamin E, which help to boost your immune system and protect your cells from damage . It’s easy on the eyes. Pumpkin is a wonderful source of beta-carotene, an antioxidant that is converted into vitamin A by the body. Higher intakes of beta-carotene, vitamin C, and vitamin E have been linked to eye health and can prevent degenerative eye damage . Most people have no trouble adding pumpkin into their diet, from pumpkin pies to “pumpkin” spice lattes and even roasted pumpkin seeds. The real challenge is avoiding all of the added sugars, salts, and fats in these products. 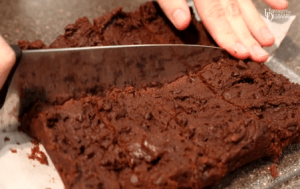 Below is a recipe for fudgy pumpkin brownies with less sugar and fat than you might expect, courtesy of the Behavioral Health & Nutrition students at UD. Preheat oven to 325 F. Line an 8-inch square pan with parchment paper. Pour dry into wet (not the other way around), and smooth into the prepared pan. Bake on the center oven rack 20 minutes. It will look a little underdone, but it firms up as it cools. You can cool in the fridge to firm up as well. Ware M. Pumpkins: Health Benefits and Nutritional Breakdown. 5 Jan. 2018, www.medicalnewstoday.com/articles/279610.php. Accessed 27 Sept. 2018. Ipatenco S. “What Are the Health Benefits of Eating Pumpkin Puree?” Healthy Eating | SF Gate, 11 June 2018, healthyeating.sfgate.com/health-benefits-eating-pumpkin-puree-4645.html. Kwon YI, et al. Health Benefits of Traditional Corn, Beans, and Pumpkin: In Vitro Studies for Hyperglycemia and Hypertension Management. Journal of Medicinal Food, vol. 10, no. 2, 2007, pp. 266–275., doi:10.1089/jmf.2006.234. Adams GG, et al. The Hypoglycaemic Effect of Pumpkins as Anti-Diabetic and Functional Medicines. Food Research International, vol. 44, no. 4, 2011, pp. 862–867., doi:10.1016/j.foodres.2011.03.016. Askari G, et al. Effect of Cucurbita Ficifolia and Probiotic Yogurt Consumption on Blood Glucose, Lipid Profile, and Inflammatory Marker in Type 2 Diabetes. International Journal of Preventive Medicine, vol. 7, no. 1, 2016, p. 30., doi:10.4103/2008-7802.175455. Montesano D, et al. Chemical and Nutritional Characterization of Seed Oil from Cucurbita Maxima L. (Var. Berrettina) Pumpkin. Foods, vol. 7, no. 3, Jan. 2018, p. 30., doi:10.3390/foods7030030.